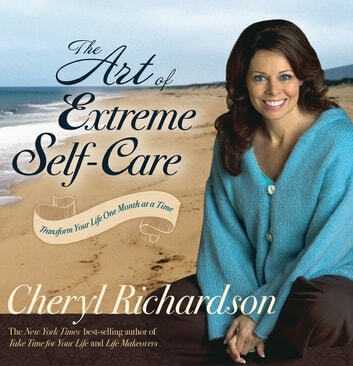 This life-changing handbook by best-selling author Cheryl Richardson offers you 12 strategies to transform your life one month at a time. Designed as a practical, action-oriented program, each chapter challenges you to alter one behavior that keeps getting you in trouble. The book is filled with personal stories of how Cheryl and others have learned to make the practice of Extreme Self-Care their new standard for living. With chapters such as “End the Legacy of Deprivation,” “Take Your Hands off the Wheel,” “The Absolute No List,” and “Does That Anger Taste Good?” you will stop the endless cycle of self-betrayal and neglect that stems from daily violations of self-care. Each chapter includes a relevant resource section that offers books, Websites, audio programs, podcasts, and more should you want to explore a particular topic further.